As a child, Paul Greenberg—an impassioned fisherman even then—thought of the sea as a vessel of desire and mystery, a place of unquestionable abundance. Later on, working as a science journalist for the New York Times, he detected a collision between wilderness and domestication in man’s approach to fish as a source of food. In particular, the social histories of salmon, sea bass, cod, and tuna stand out as uniquely representative of this collision. These four fish dominate the modern seafood market and, as Greenberg astutely observes, also mark four discrete steps humanity has taken in its attempts to master the sea. 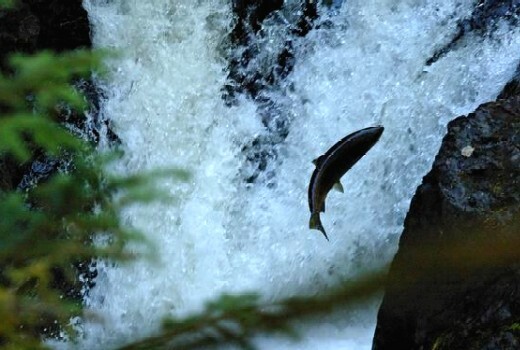 Salmon require clean, free-flowing freshwater rivers, many of which are now lost, others quickly vanishing. Sea bass occur along the near-shore shallows of coastlines, easily and heavily fished. The habitat of cod is many miles offshore on the slopes of continental shelves, and tuna frequent the distant deepwater zones beyond the continental slope. Man has slowly encroached upon and taken over all of these habitats. Greenberg’s odyssey takes him to Alaska, Norway, the Mediterranean, New England, and Vietnam. He draws heavily on a variety of subjects, from biology and genetics to history, sociology, and environmental studies. But Four Fish is not an academic social history of fish; it’s a highly readable and fascinating exploration of fish and fishing, and the roles they play in our lives. More than this, it’s a call for a deeper understanding of how we interact, in both good ways and bad, with the abundance of our planet offers. For anyone interested in the environment, this book is a metaphor for how we live. Four Fish, Paul Greenberg, Penguin Australia. Review first published in the Courier-Mail in August 2010.